Since student loans are the only type of debt that cannot be discharged through a bankruptcy, it’s important for college students to learn how they can minimize their debts. By avoiding debt, students are laying the foundation for a stronger financial life and preventing future hardship. However, avoiding debt isn’t limited to strategizing how to take out student loans. Debt can take many forms including credit card spending that accumulates during collegiate years. So how can students get a good education and enjoy their college years without collecting a mountain of debt? 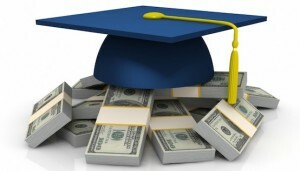 By practicing proper money management, students will be able to avoid unnecessary debt in college. While some debts such as loans are unavoidable, having a strategy can help consolidate the process and keep spending in check. These tips are applicable for anyone currently in college or preparing to begin their college experience. · Consider all costs before taking out a loan. Before applying for a loan, consider all of your costs for the year or semester. By including the cost of tuition, room, board, and leisure spending before taking out the loan, you’re avoiding debt by taking out a loan all at once. People who don’t take out enough money with their loan are more likely to put it on their credit card later on, thereby running up more debt. · Seek work-study solutions. Both private and state schools offer work-study options for students. By working during their collegiate years, students can pay for part (and in some cases all) of their college experience. While working and studying might seem like an overload, proper schedule management can make this possible. · Graduate early. Many high schools and summer programs offer college-credit courses. Be sure to take advantage of these opportunities and use these credits to graduate from college early. An early graduation is a great strategy in avoiding debt because you have one or more semesters that you don’t have to pay for!